Learn the Zimmer-Biomet Persona Partial Knee Replacement (Medial) surgical technique with step by step instructions on OrthOracle. Our e-learning platform contains high resolution images and a certified CME of the Zimmer-Biomet Persona Partial Knee Replacement (Medial) surgical procedure. This is the case of a 77 year old man who had exceeded the benefits of non-operative treatment including analgesia and physiotherapy. He did not wish to use an offloader brace. My practice is to use a fixed bearing partial knee replacement for all lateral unicompartmentals and medial unis where the patient is over the age of 65 or there is concern over the ACL integrity. 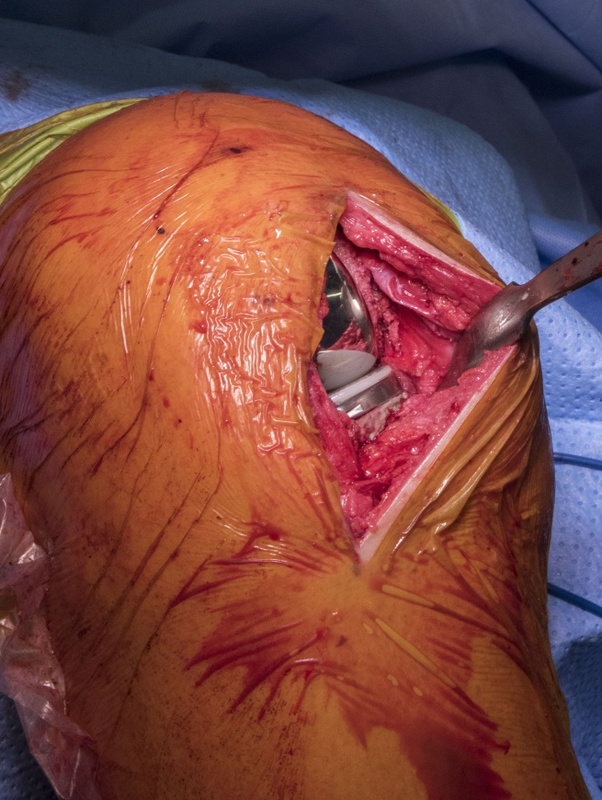 The Persona Partial Knee (PPK) is a minimally invasive replacement of one compartment of the knee joint with fixed bearing modular cemented components. It is produced (and in the UK marketed) by Zimmer Biomet. The PPK is a new design which is currently available to use through Beyond Compliance whilst it enters the marketplace. The PPK combines many positive features of previous fixed bearing UKR’s including those that achieved good 10 and 20 year survival. In addition there have been developments with better polyethylene wear properties by using Vivacit-E Polyethylene which is actively stabilized with Vitamin-E. By using large databases of patient morphotypes the shape of the PPK has been modified to represent the very best fit possible. As a surgeon with a background and current practice still using mobile uncemented Oxford implants as well, this system provides a very simple yet appropriate transition to the fixed UKR design using a resection rather than a milling technique. This case was performed as an overnight stay. Institution: The Avon Orthopaedic Centre, Southmead Hospital, Bristol ,UK.